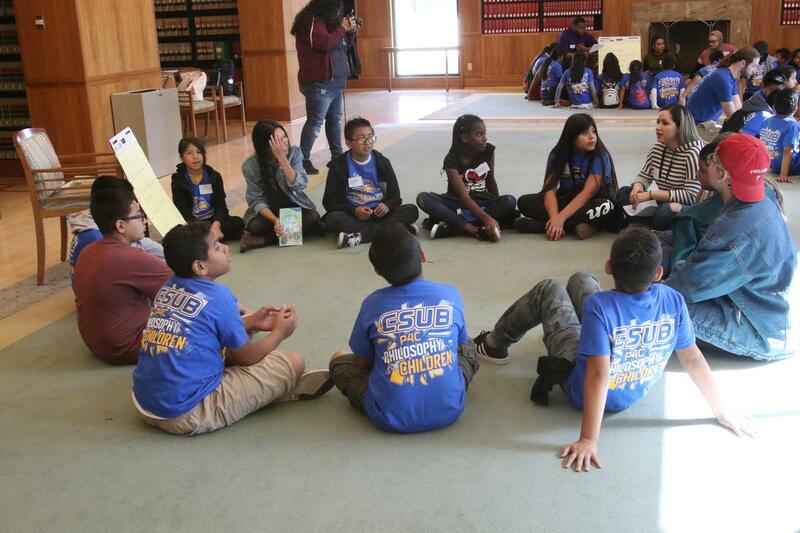 More than 150 fifth graders from Garza Elementary School visited California State University, Bakersfield (CSUB) for the “Philosophy for Children” event. 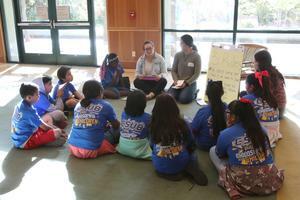 November 30, 2018 - More than 150 fifth graders from Garza Elementary School visited California State University, Bakersfield (CSUB) for the "Philosophy for Children" event. 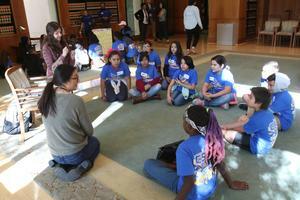 During the visit, Garza students had the opportunity to tour the campus. 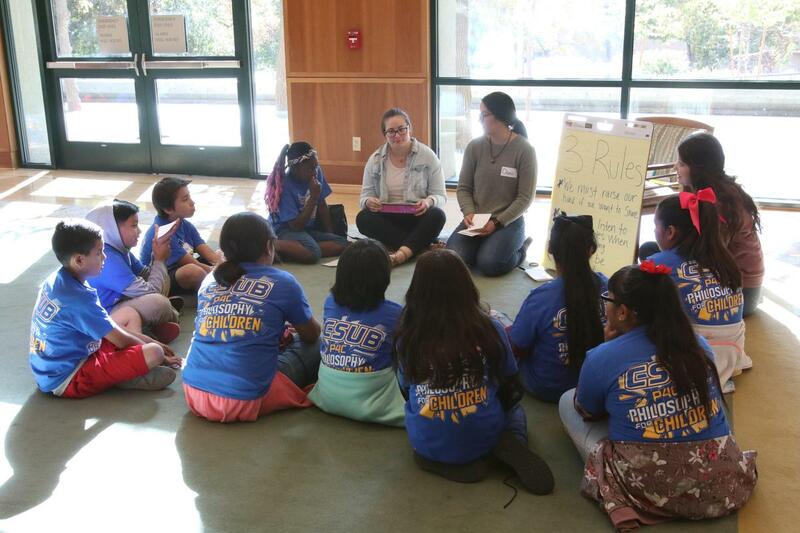 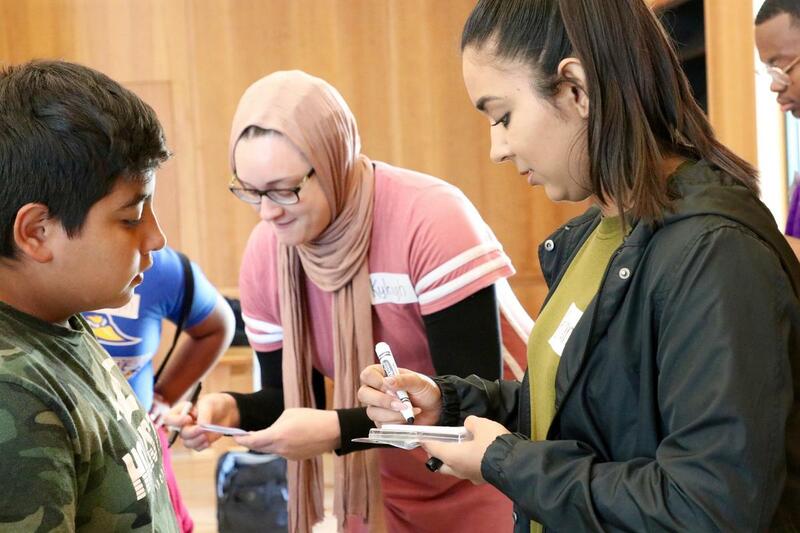 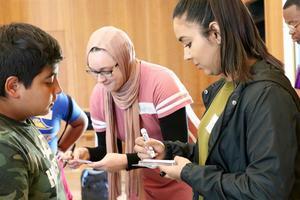 CSUB students facilitated discussions on various topics to encourage the fifth graders to interact with each other through intelligent debate. Julie Segura-Padilla, Principal at Garza Elementary, said, "The goal was to have every fifth grade student have the opportunity to experience what college life can look like, feel like and sound like, as well as put into practice how to have a conversation where you agree and disagree." Each Garza student that participated received a free CSUB T-Shirt as a souvenir. 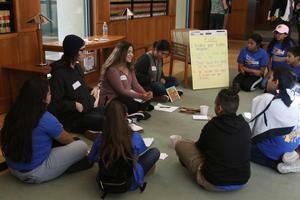 Thank you CSUB for allowing our students to get a glimpse of campus life while stressing the importance of higher education.